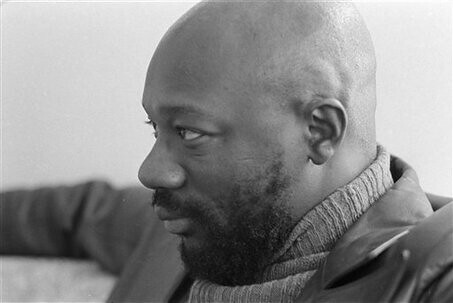 Isaac Hayes. Soul man. Funky brother. Singer. Songwriter. Musician. Arranger. Composer. Record producer. Actor. Legend. Hayes was born in Covington, Tennessee into a very poor family. He grew up picking cotton and began singing at the age of five. He taught himself how to play the piano, electronic organ, flute and saxophone. He dropped out of a high school but eventually returned and earned a diploma at the age of 21. His recording career began in the early 1960s as a session player for various musicians on the Stax label in Memphis. He began writing songs with David Porter and had a string of hits, including Sam & Dave’s ‘Hold On I’m Comin’. There is a story that says Hayes and Porter were really struggling with this song. They couldn’t come up with a name, lyrics or even a melody. Porter excused himself and retired to the Gentleman’s room. Hayes suddenly had an idea and began to write down words while humming a tune. He got so excited that he started shouting for Porter to come back. Rushing, Porter replied, “All right. Hold on! I’m coming!” And the song was born. In 1967, Hayes was at a Stax Christmas party. He was a bit drunk and a bit bored so he snuck off with a couple of the MGs (members of the Stax house band) and they began playing and recording a few improvised songs in the studio. The result was his first album, ‘Presenting Isaac Hayes’. It was very good but, commercially, it was a complete flop. The following year was a difficult one for Stax. The label’s biggest star, Otis Redding, died in a plane crash and the entire back catalog was lost in a deal with Atlantic Records in 1968. Then vice president Al Bell called together all of the artists on the label and requested they record as many albums as possible to rebuild the Stax catalog. By the middle of 1969, 27 albums had been released. The most successful one was Haye’s second LP, ‘Hot Buttered Soul’. This album changed Soul music. 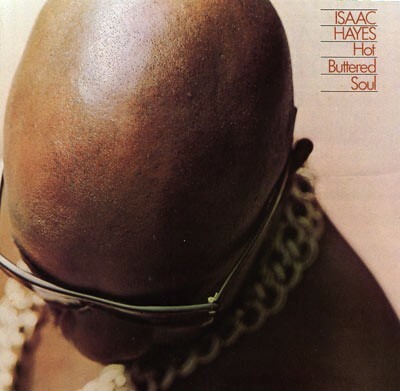 Hayes combined forces with the might Bar-Kays and created an album that turned everything about Soul upside down. He combined strings and horns with the solid, funky back beat of the Bar-Kays. He sang, rapped, spoke and crooned in a husky, baritone voice. He extended the normal three minute structured song format into an epic, improvised, extended, compelling, exploratory effort. The album only contained four songs. One of them, ‘Walk On By’ was over 12 minutes long. Another, ‘By The Time I Get To Phoenix’ was over 18 minutes long. The album was the first from Stax to go Gold. Then it went Platinum. Hayes became a star. For the next six years, he went from strength to strength releasing one hit album after another. 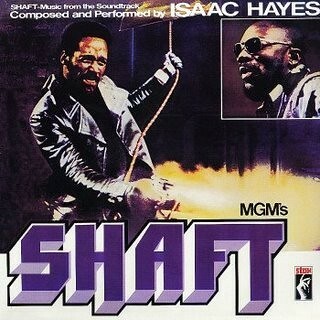 His best known work came in the way of blaxploitation in 1971 with the release of the soundtrack for ‘Shaft’. Hayes composed all of the music for the film. He also appeared in a cameo role as a bartender. The title song combined a symphonic arrangement with a funky wah-wah guitar riff and became a worldwide hit song. It spent two weeks at Number 1 in the Billboard charts and earned Hayes an Academy Award for ‘Best Original Song’. Hayes was a superstar. He continued his streak of successful albums and singles until trouble struck in 1974. Stax were having serious financial problems and Hayes was in debt himself because of the difficulties. He sued Stax, won and was released from his recording and production contracts. For the remainder of the 1970s he recorded on his own label, Hot Buttered Soul and Polydor. Although he never achieved the same level of success, several of his songs from this period were Disco classics and went on to heavily influence House music. In 1976, Hayes and his wife owed over six million dollars and were forced into bankruptcy. At the end of the proceedings in 1977, Hayes lost his home, his personal property and the rights to all future royalties from the music he had written, performed and produced. After several album failures in 1980 and 1981, Hayes decided to take a break from music and concentrate on acting. He appeared in numerous films in the 1980s and 1990s, before landing the role of Chef in ‘South Park’. He was the voice of the Soul-singing cafeteria worker in the show, until he left in 2005 under controversial circumstances, because of a dispute about Scientology. Hayes was married four times, fathered 12 children, had 14 grandchildren and three great-grandchildren. Rest in peace Black Moses.